Hey Y’all! It’s good to be back in the blogging world after the chaos of the holidays! I know it’s been a while since I’ve posted and I’ve got some projects under my sleeve that I’m looking forward to starting. Before I get into anything new, I want to take a look back on last year, 2017. Not to get off on a tangent, but I wanted to share some exciting news with you! We’ve found a home that we love and we have a contract on it pending the sale of this home! We love our current home, and it fits our needs perfectly, but there is something about this other home that just feels like “us.” The home is older, it’s smaller, the yard isn’t as well maintained as ours now, but for some reason we knew it was right for us when we stepped in the door. Funny how that can happen because we weren’t looking to move. I say it’s right for us, well, we need to sell our home first AND within a pretty small time frame for this to work. So, that being said, any and all prayers would be so appreciated! I’m a believer that God has the ultimate plan. Even though we feel like this is His plan, we know that if our house doesn’t sell within that time frame that it wasn’t meant to be. So either way, we are ok with whatever happens. I want to take a look back at a few posts from last year. 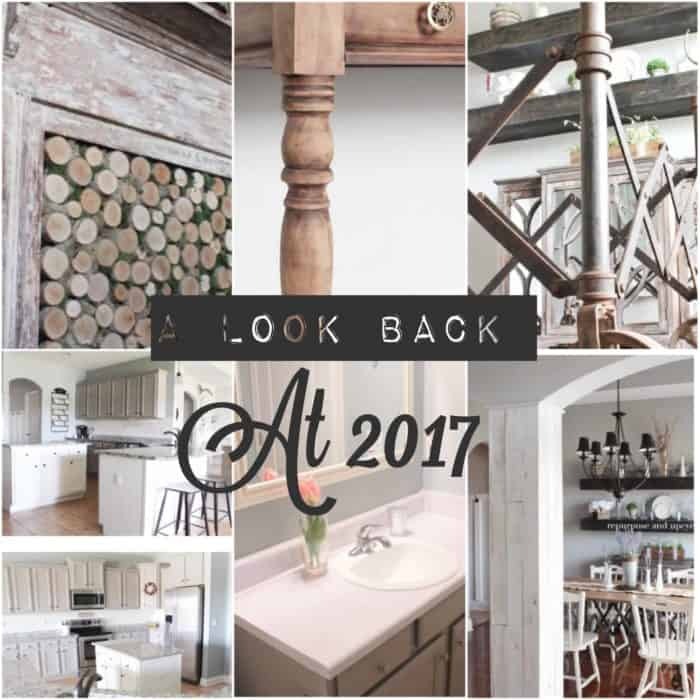 Last year was a busy year as far as home projects. When we purchased this home, it was a standard builder grade home with NO upgrades. This meant I needed to put my stamp on something! Here are a few of the projects I tackled to make it my own. 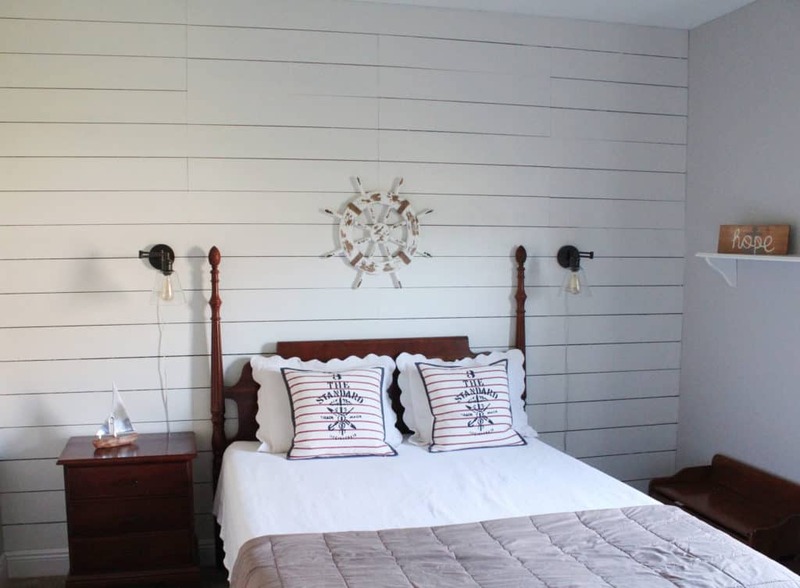 The first home project I tackled after the new year was adding a little faux shiplap to my sons bedroom. 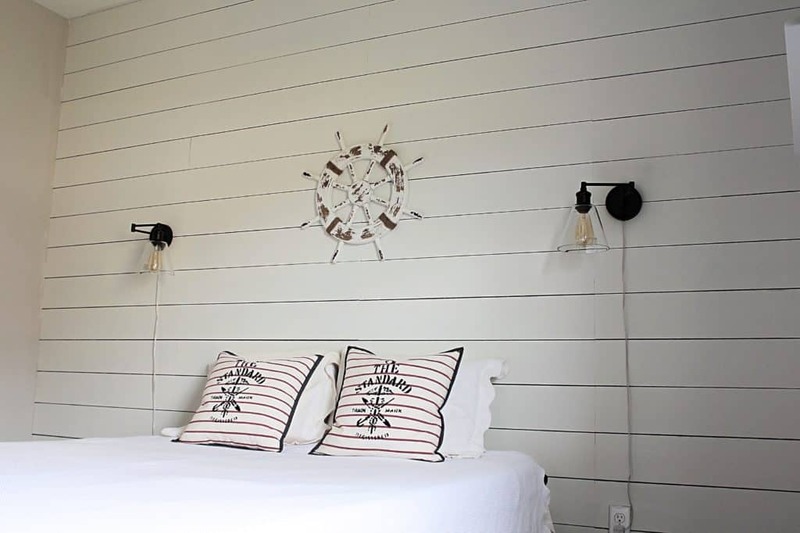 I love real shiplap, but I wanted to try something more simple, with NO power tools! 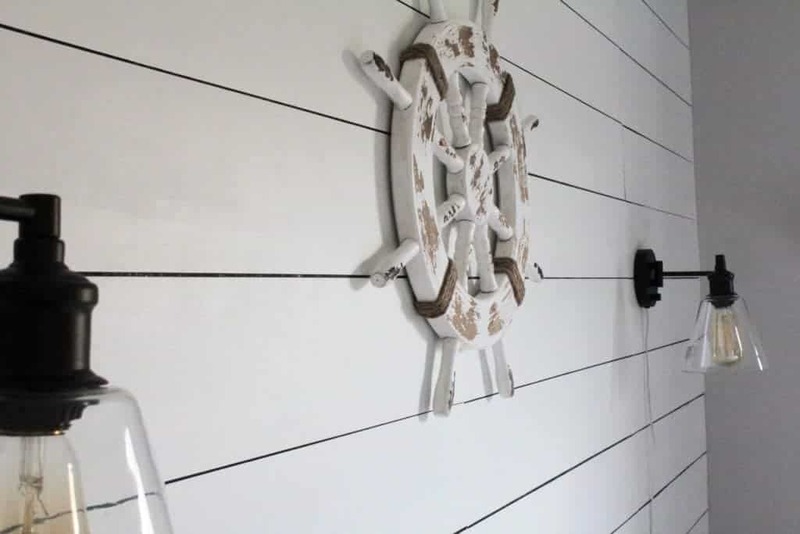 Yes, I really tackled a shiplap wall without power tools. My next big project (the biggest project to date actually) was our modern farmhouse builder grade kitchen update. This included A LOT of time and energy painting the million cabinets that we have. Oh yeah, that was my other big project of the year, painting our laminate cabinets. Big change from that sea of brown, huh! I knew I had to update our kitchen ASAP! 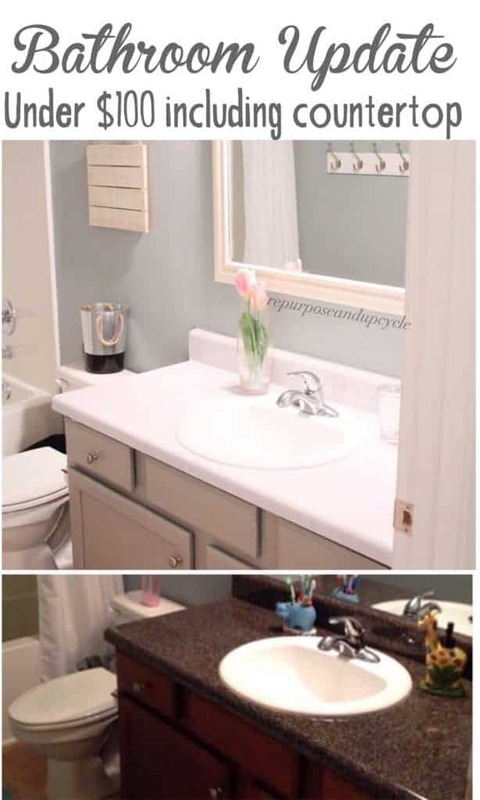 My next project was our kids bathroom update. 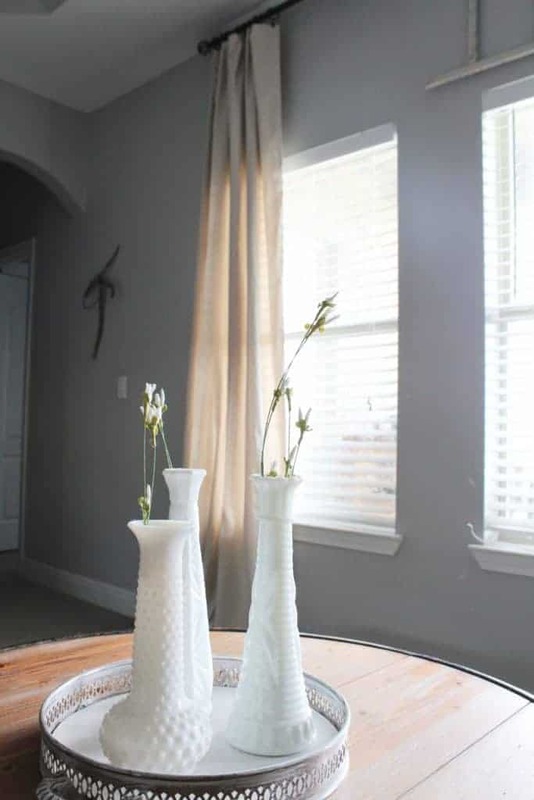 It was also very boring and “builder grade ish.” The best part about this makeover was that I completed it all for under $100; seriously, under one hundred dollars. I was also introduced to a neat new product for countertops. Check out the post for more details. 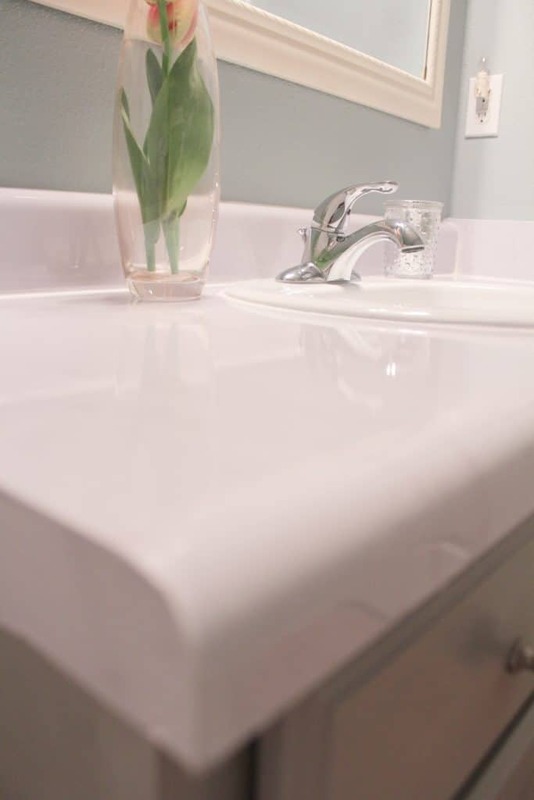 Here is a closer look at the awesome counter top update. I hated our counter tops in here, but I couldn’t afford granite. So Instant Granite came to my rescue! My next little “update” involved the living room. I was hoping to pull up that yucky carpet and get a nice hard floor, but that didn’t happen. So I decided to cover it with a rug and update the windows instead! 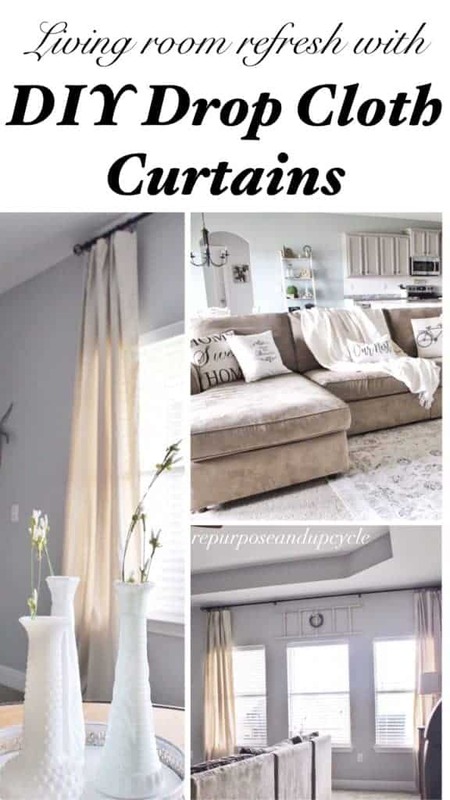 I also tried my hand at creating DIY drop cloth curtains. So far I’m in love, and I wonder why I didn’t tackle these sooner. 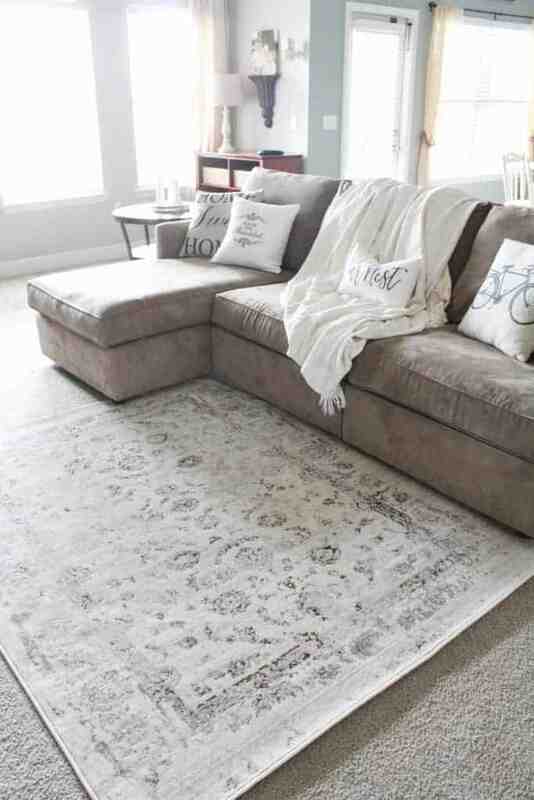 I love how this rug helped to hide my old carpet. 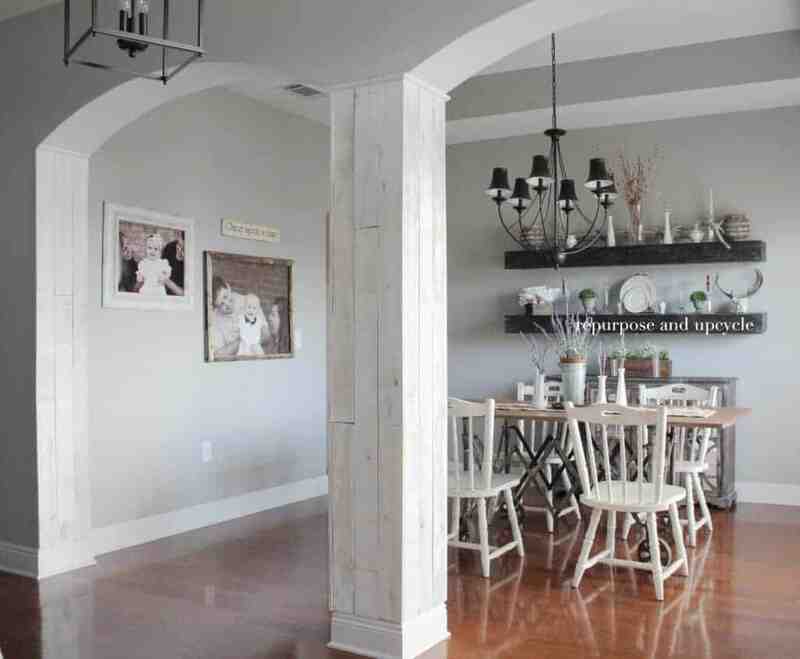 The last home project of the year was adding wood planks to our dining room. I love how the wood added just enough character to transform this space from builder grade boring to fresh, new and exciting. I also tacked quite a few furniture projects this last year. Here are a few of my favorites. 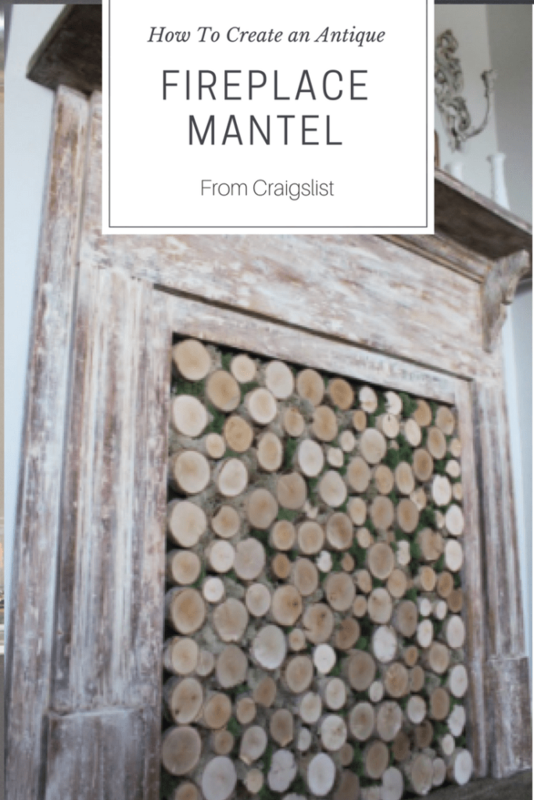 My all time favorite furniture project yet is my craigslist transformation of an antique fireplace mantel. 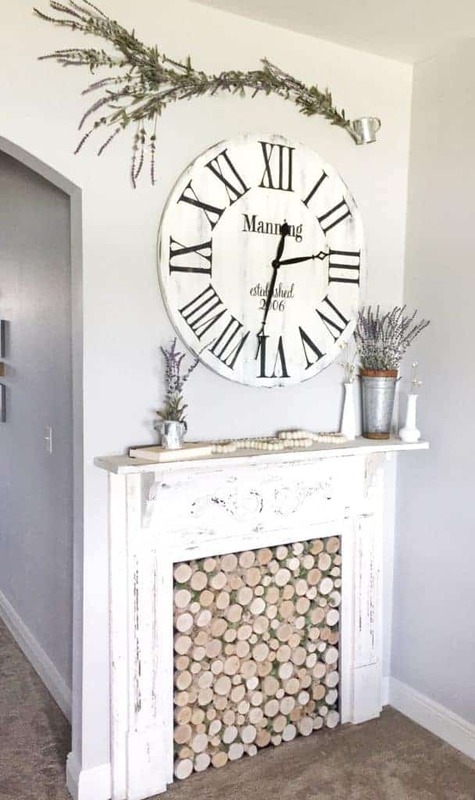 I LOVE my new mantel, especially since we don’t have a fireplace in this home. Also, I love having real antiques in our home. I think it really makes a statement, what do you say? 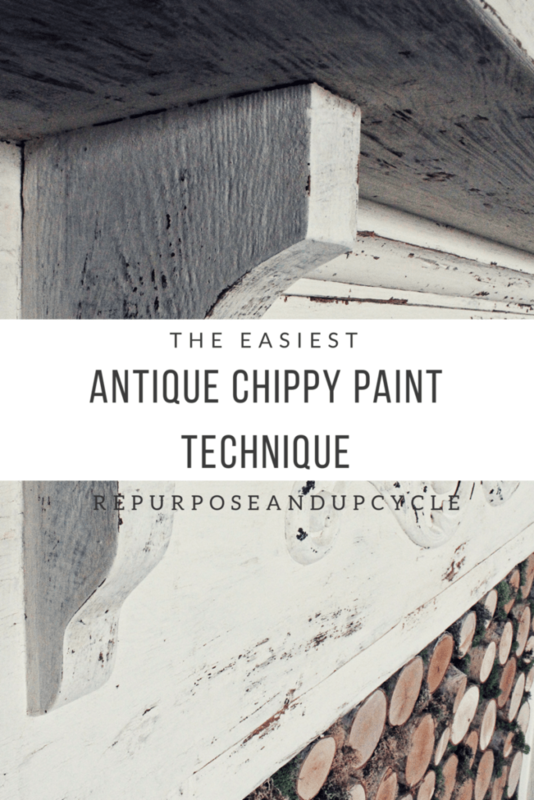 Because I’m never happy with any of my furniture pieces for long, I had to repaint the mantel with the easiest chippy paint technique. It really created a whole new feel to the space, don’t you think? 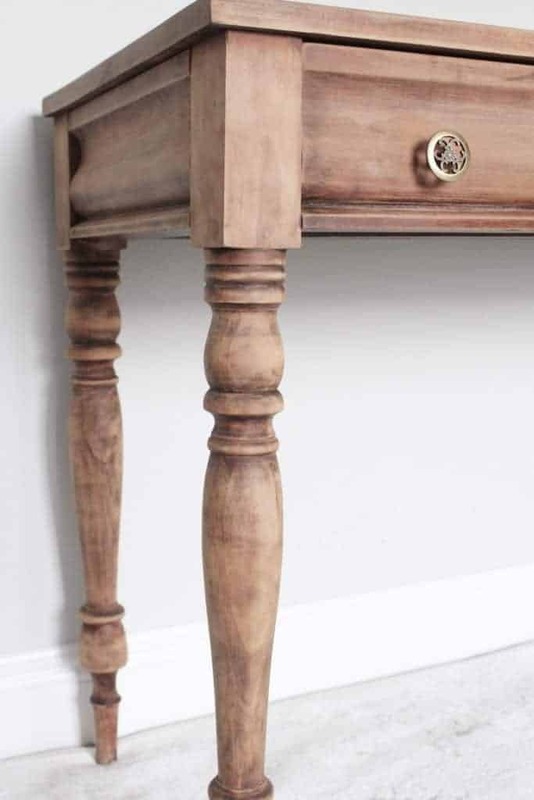 My next favorite furniture project had to be the desk makeover with the easiest paint stripping technique ever! 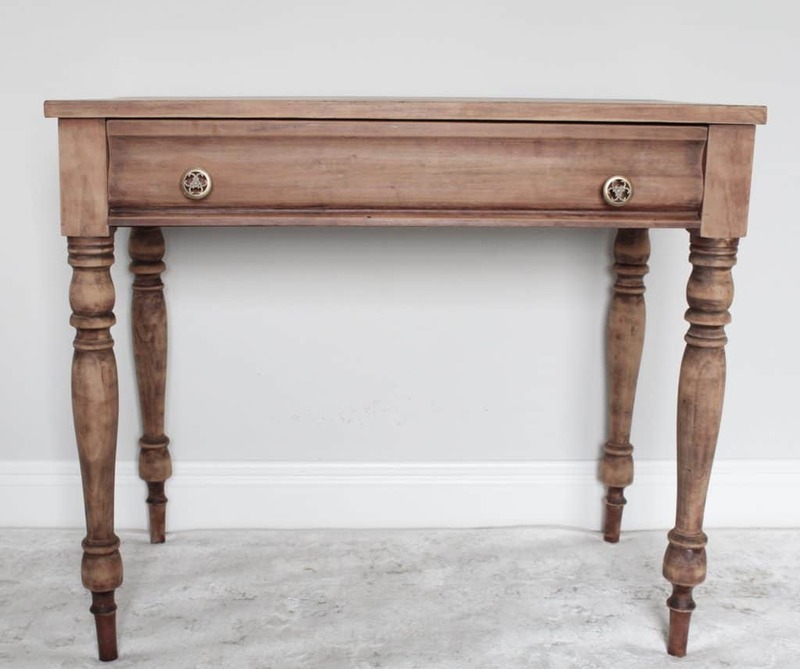 I love the way this piece turned out, so much so that I’ve been contemplating re doing our master bedroom furniture too! I almost forgot to share with y’all my vintage casket carrier turned dining room table base. Ninety percent of you gasped at the sight of this and I got some interesting feedback, which I did expect. Personally, I think it’s a cool piece and has a lot of history. My hubby, on the other hand, feels like it needs to be resurrected out of our house and sent back to the morgue!! I can see his point, sort of. 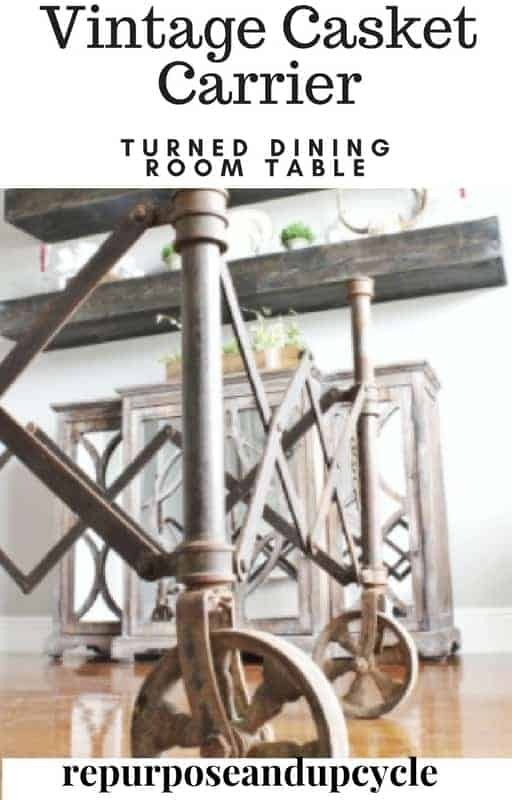 Thank y’all so much for following along this journey of repurposing and upcycling projects. My little corner of the internet world would be a lonely one without all your feedback and support. Wishing everyone a beautiful and blessed New Year. 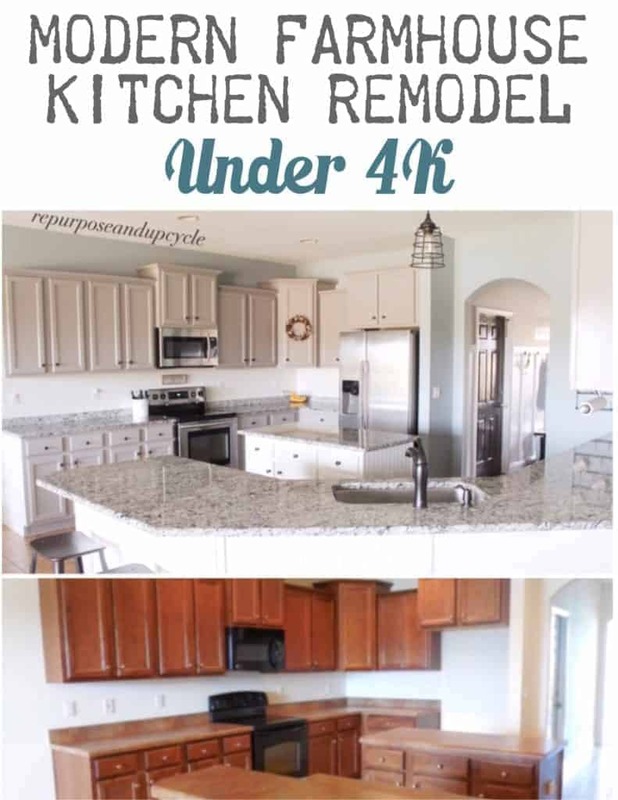 These are all great posts, the difference in the kitchen must have significantly increased your home value. It beautiful now. I love all of them actually, the little table is a treasure as well, I am looking for something similar for a cocoa bar. Thank you! I appreciate your kindness. Congratulations on the new home! I can’t wait to see it. Good luck with everything! And thank you for linking up with us for our first Welcome Wednesday! Oh my goodness, what a beautiful bedroom for your. It is so magical and oh so lovely, Lindsey! Girl, how are you going to top yourself in 2018?! I remember the table post. When you said vintage CASKET carrier, I was all in. Cutest table in the history of tables! lol I think you are the only one that ever said it was CUTE! Thanks for the encouragement! Great photographs. Nautical but nice! Visiting from the Bloggers Pit. Looks like you had a VERY productive 2017! I love how your kitchen turned out. Oh if only I had one that big. Nicely done! Quite a few wonderful projects! 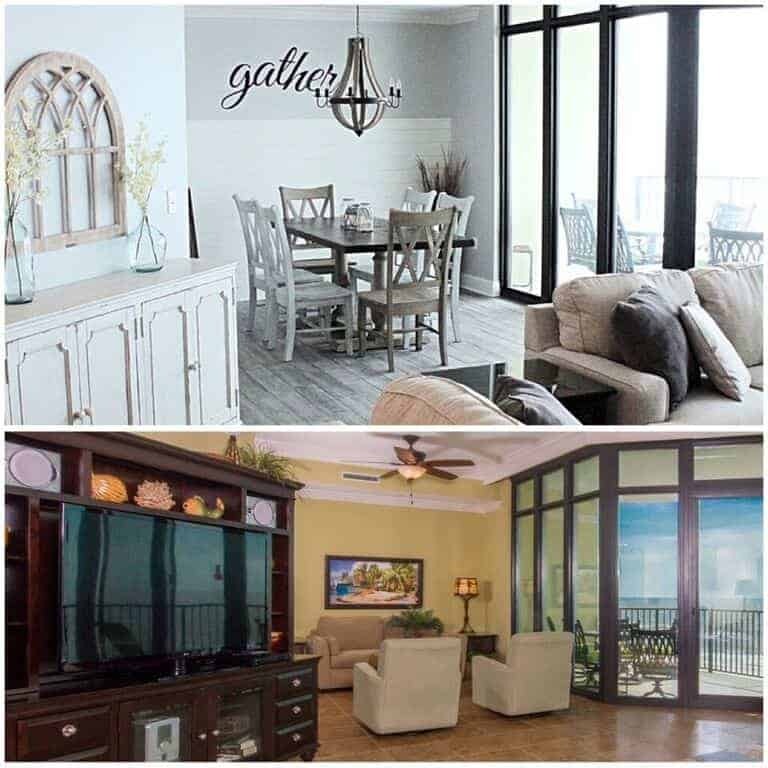 You should find a buyer quickly with the way you’ve modernized your house. Wow, you had a very busy 2017! 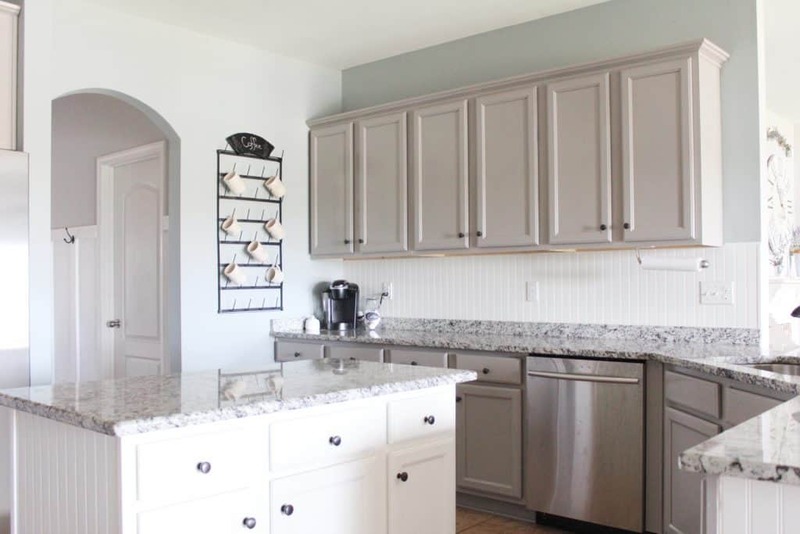 Each of your projects turned out great, but I really love that kitchen! Thank you for sharing with us at Party in Your PJ’s. You have done a lot to beautify your home. Love your kitchen! Thanks for sharing with SYC. Wow, you’ve had such a busy year. I think the kitchen makeover is my absolute favourite though. I am in love with all of your 2017! Love your style, it’s very inspiring! Thank you! I’m praying for a quick sell, as long as it’s His will of course. You have a beautiful home. I really like your clever tricks. Fun posts! I can’t wait to see what you bring in 2018! Thanks for linking up at Friday Frenzy Link Party. PINNED! 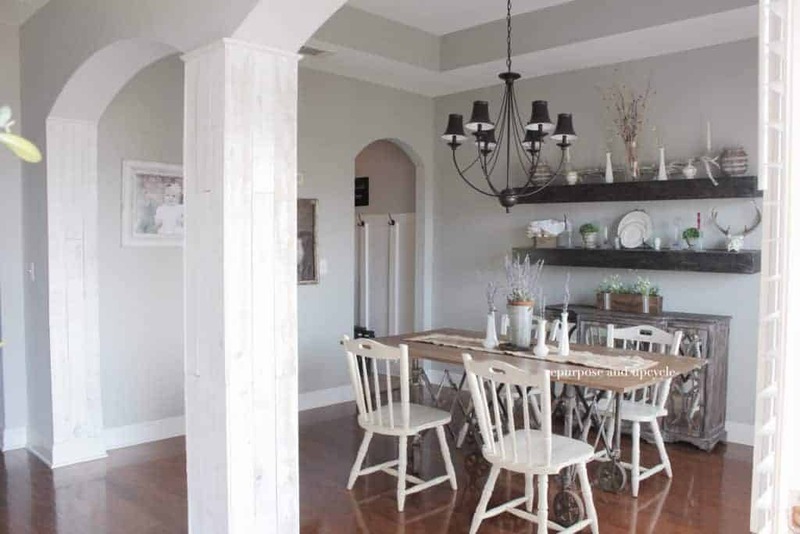 Loved watching your home decor makeovers throughout the year, and that dining table still steals my heart! Thanks for sharing all your updates at #fridaysfurniturefix ! Lindsey you had a great year and with all these fantastic projects I bet your blog must be growing fast. My personal favorite project was the natural way to strip furniture. That piece looks amazing!! Thank you Mary! It’s been a busy year for projects for sure!